This page contains handouts referenced in Chapter 6 from Multigenre Research Reports: Multifaceted, Multipurpose Writing Assignments. Slides about Teaching Direct Citation in Informative Genres. 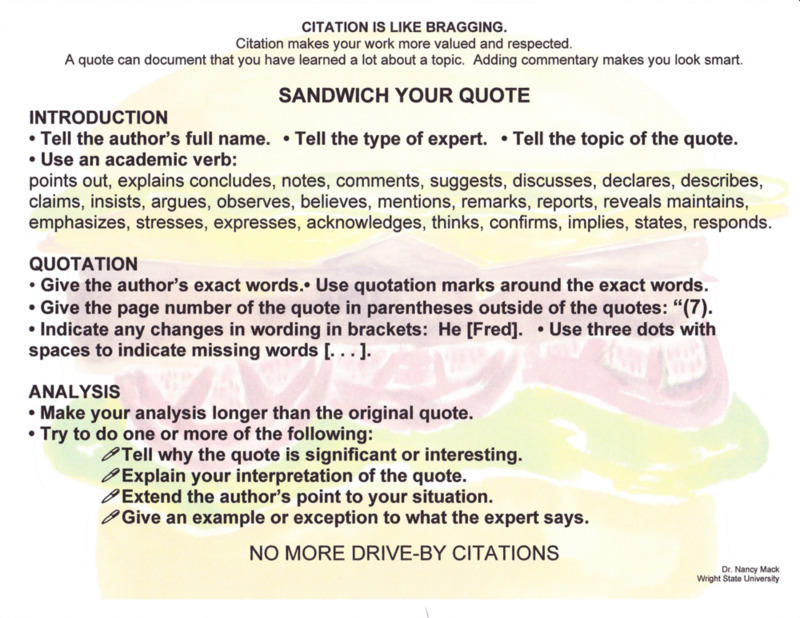 These handouts are helpful for teaching students how to insert quotes into their writing. Example Nonfiction Genre with Quotes for Colormarking. Hamburger Graphic Organizer for Practicing Direct Quotes.